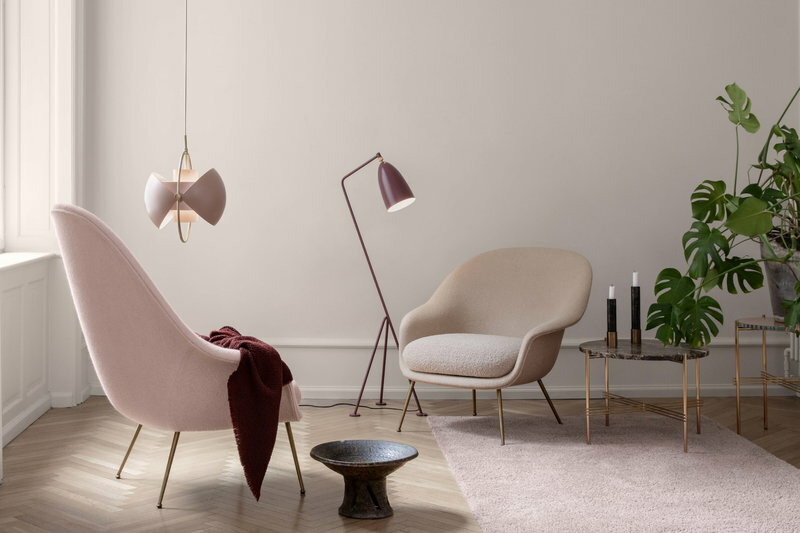 The iconic Gräshoppa floor lamp, designed by Greta Magnusson, was first introduced in 1947 and reissued by Gubi in 2011. 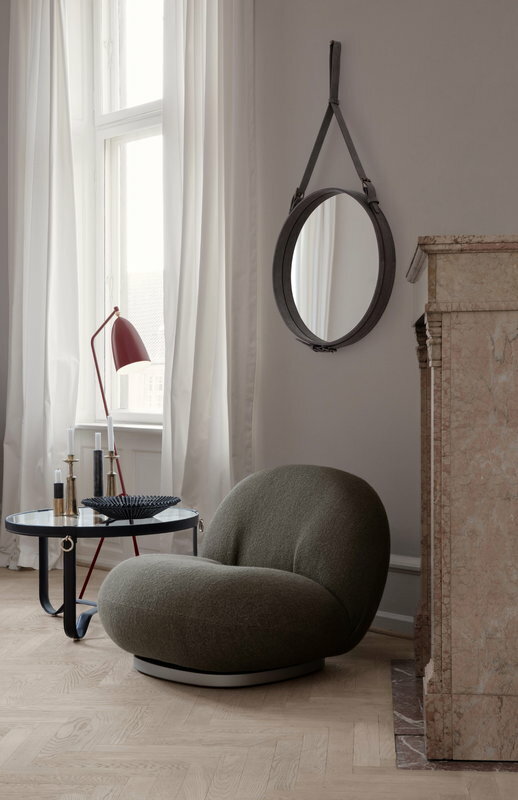 Swedish for Grasshopper, Gräshoppa has signature form featuring a simple bell-like shade and a tilted tripod base with three legs. The shade is mounted onto the arm with a ball-joint so the direction of the light is easy to adjust. 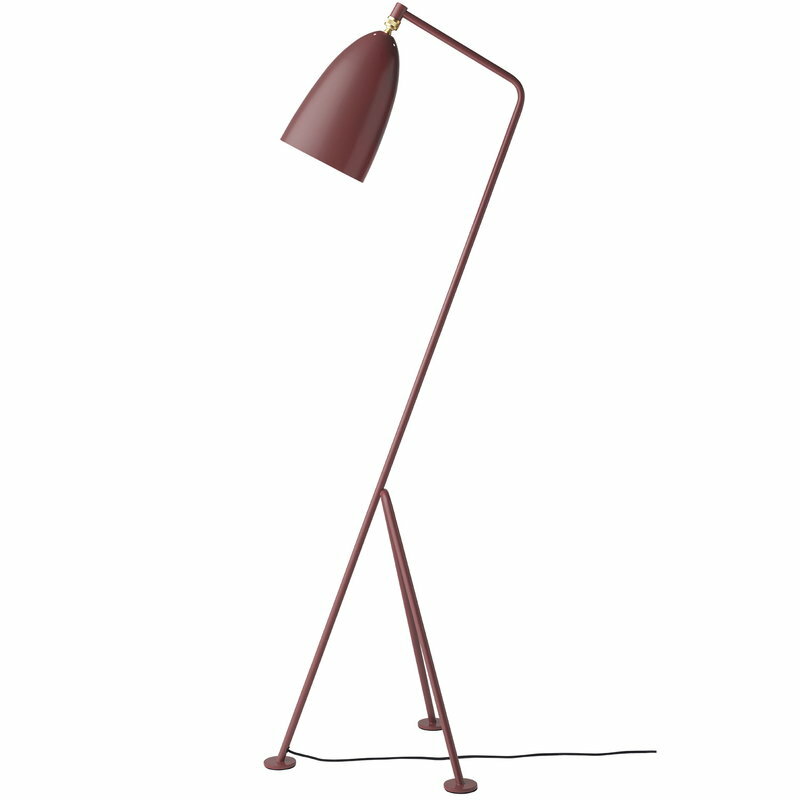 Both the stand and shade of the Gräshoppa lamp are made of powder-coated steel.